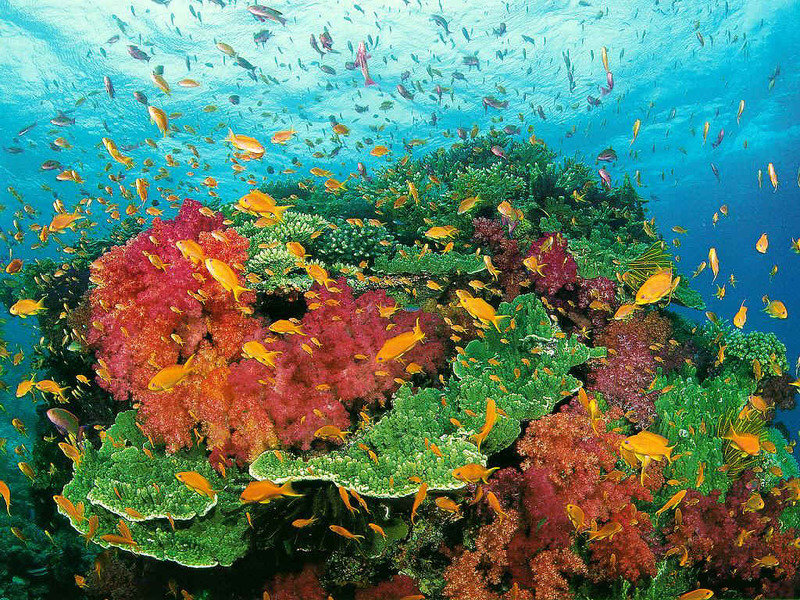 Coral reefs are extraordinarily valuable ecosystems. They are not only of great importance for nature, but also have a very high value to us humans. Reefs support millions of people by supplying them a source of food and income. 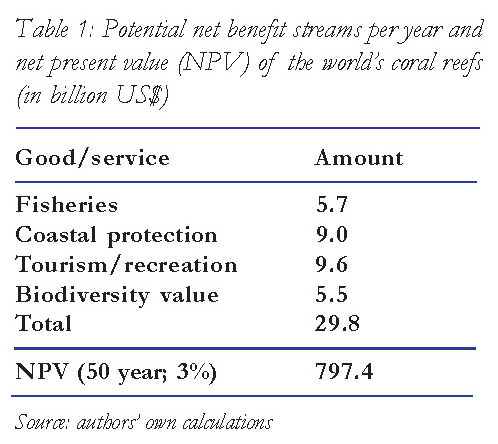 In a WWF report (see table 1 below), it is estimated that coral reefs contribute a net 30 billion dollars’ worth of ecosystem services worldwide. This includes among others products and services from the tourism and fishery sectors and coastal protection. Over 450 million people live within 60 kilometers of a coral reef. The income of a majority of them is directly or indirectly dependent on those reefs. Pharmaceutical companies also profit from healthy reefs. Reef provide both knowledge and materials that are necessary for the development of medicines for e.g. cancer, cardiovascular diseases and Alzheimer’s disease. Coastal zones with coral reefs attract millions of tourists (divers) each year. This industry contributes significantly to the economies of those countries. The basic value of tourism worldwide is estimated to be 9.6 billion dollars per year, and additionally a multiple of that amount is spent on other local expenditures.